My Series Sunday pick is Out of Time, the second book in the Nine Minutes series by Beth Flynn. It continues the gripping story of Ginny, who was once abducted by the massive yet handsome leader of a notorious motorcycle gang and later made his wife. Grizz has been executed for the abduction of Ginny and other crimes. Ginny is now remarried with children. But family and friends can't move on with their life because a tangled web of deceit and secrets unravel after Grizz's death. The façade of normalcy crumbles. Every single outstanding question I had was answered in Out of Time. 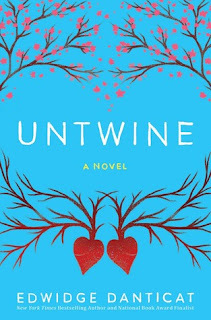 Just when I thought there was no more to the story, Beth Flynn came out of the woodwork with plot twists and backstory that blew my mind. If you enjoyed other biker novels or watched Sons of Anarchy (still hooked on SAMCRO and Jax), then this is the book series for you. Be prepared for a page-turner that you will not be able to put down until finished. Do NOT read Out of Time until you've read the first book Nine Minutes. 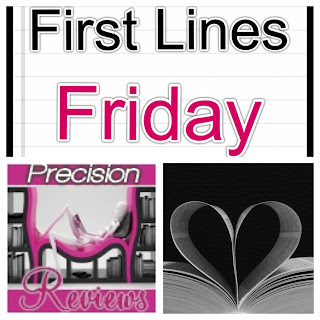 There are so many twists and character developments that will only be understood if read consecutively. As I stated last week when I reviewed book one, if you are looking for something to read outside of the norm, I recommend Beth Flynn's Nine Minutes series. But be warned it is not for the faint of heart. It is not a googly-eyed romance story either. 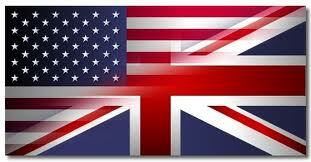 There is crime, violence, strong language, dark secrets and hard truths. "Beneath the intersection of I-20 and I-75, where stray trash tumbles about carelessly and dreams lay aborted, where Coke cans substitute for ashtrays and discarded, warped, pissy mattresses serve as sleeping quarters for discarded, warped, pissy people—beneath that invisible expanse of earth and sky dwells a man named Lazarus." Keita is a fast man in a strange land. Running means respect and wealth back home in Zantoroland, a fictionalized country that breeds the fastest marathoners on earth. But when his father is killed for outspoken political views, Keita has to flee home to Freedom State. Now his presence is illegal. He only comes out of hiding to win cash prizes by running local marathons. The story takes place in years 2004-2018. 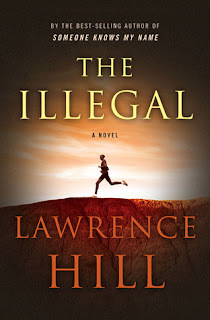 Lawrence Hill is the author of Someone Knows My Name (made into the TV mini-series Book of Negroes). 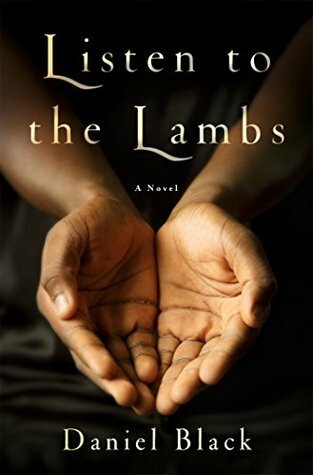 The main character of his new novel is a refugee—like the many in today's headlines. For these reasons, I wanted to like The Illegal. I really did. And I can appreciate a descriptive writer. But Lawrence Hill took pages upon pages to describe scenes and places. It took chapters to tell backstory that wasn't all relevant. By the time I reached the climax of the story, I'd lost interest. 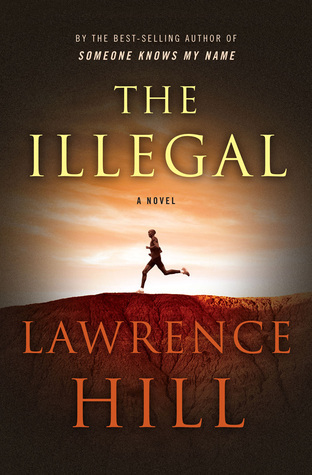 The Illegal was published on January 25, 2016. It may or may not be to your liking. 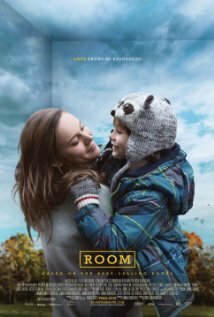 Held captive for seven years in a room, a woman and her five-year-old son regain their freedom allowing the little boy to experience the outside world for the first time. Very true to the book; just as heart wrenching. 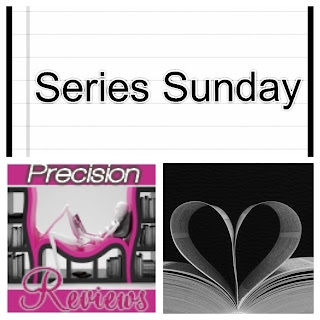 My Series Sunday pick is Nine Minutes, the first book in the Nine Minutes series by Beth Flynn. To put it bluntly, this is the story of Ginny, a 15-year-old girl who'd been abducted by a notorious motorcycle gang/club (MC). Her life is forever changed as she lives on the MC's base where everyone goes by an alias and lives by the loyalty code. Grizz is the terrifying, massive yet handsome leader of the MC. But when it comes to Ginny, he is tender and loving. So begins the emotional tale of Ginny and Grizz. I spent majority of the book wondering if and how Ginny will be rescued, if Grizz will slip up and allow her to escape or if she will fall in love with her kidnapper. Bookhearts know that it is not a rare occurrence when I root for the bad guy in novels but this one? Whew! 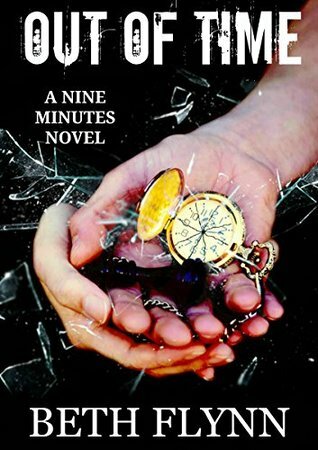 Nine Minutes was a book recommended to me when it was first published over one year ago. I downloaded the NOOKbook and it sat in my eLibrary for quite a while until the person randomly asked one day, "Hey, how did you like Nine Minutes?" EEK! I had forgot all about it. So on a quiet morning, I started reading and didn't move until I was done. Then I immediately downloaded and started reading the sequel Out of Time (to be reviewed soon). 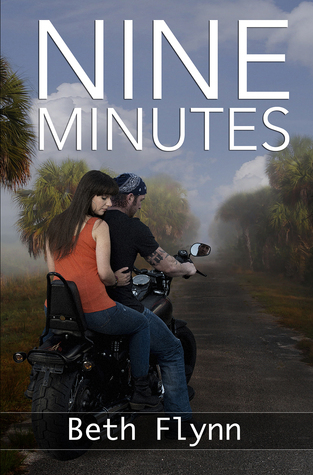 Anyhoot, if you are looking for something to read outside of the norm, I recommend Beth Flynn's Nine Minutes series. But be warned it is not for the faint of heart. It is not a googly-eyed romance story either. 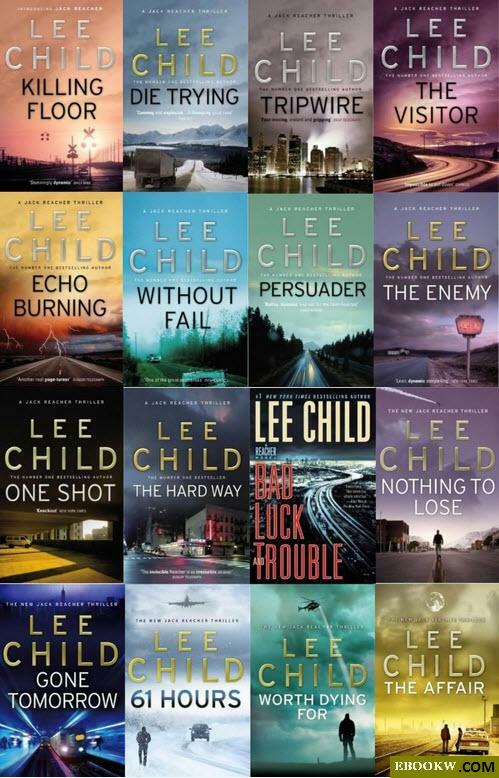 There is crime, violence and dark secrets. "I remember what was playing when the car slammed into us." Let me start off saying, for the record, I still miss Borders. I miss the ambience, the wide selection, the book signings, the cafe, all of it. I have become a Barnes & Noble bookheart thanks to monopoly. There simply aren't any independent bookstores in my area. Barnes & Noble has a cafe and is home to my beloved NOOK but I don't visit in-store nearly as often as I visited Borders. Statistics show I am not the only one. So what does Barnes & Noble come up with to lure more people in the doors? Beer and wine! Yes, it is true. The bookstore chain has applied for a liquor license in the state of New York. 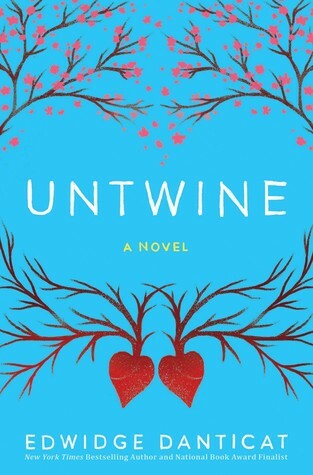 Suddenly the idea of sipping wine while reading in the bookstore makes me want to head over to the nearest B&N. No more hiding it in my book flask. 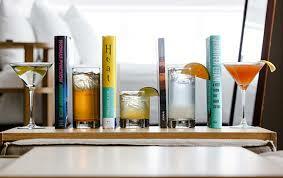 Books and Booze. Yay or Nay? 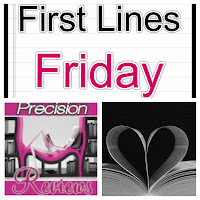 Welcome to Literary Marie's Precision Reviews! Thanks for visiting today's virtual tour stop for Beverly Jenkins' new novel, Forbidden (available January 26, 2016). Beverly Jenkins is the best in African American historical romance fiction. I am very much excited to read, review and participate in this book tour, as well as promote my fellow Cass Technician and Michigander. So pull up a comfy chair, grab your favorite beverage and enjoy the content below. Rhine Fontaine is the leading man in a new series set in the Old West 1865. He is building a successful life after the Civil War, but one that depends upon him passing as white. His lighter-than-a-paper-bag skin, jet black hair and green eyes make it easy for him to pass. But when he meets the beautiful Eddy Carmichael, he wants to break the façade. Eddy is forever grateful to Rhine for rescuing her from the desert. But she plans to move as soon as she saves enough money to open her own restaurant in California. That means not giving in to temptation and risking her heart. Maybe it will be worth it to give in for just one night...or will it start a forbidden romance? 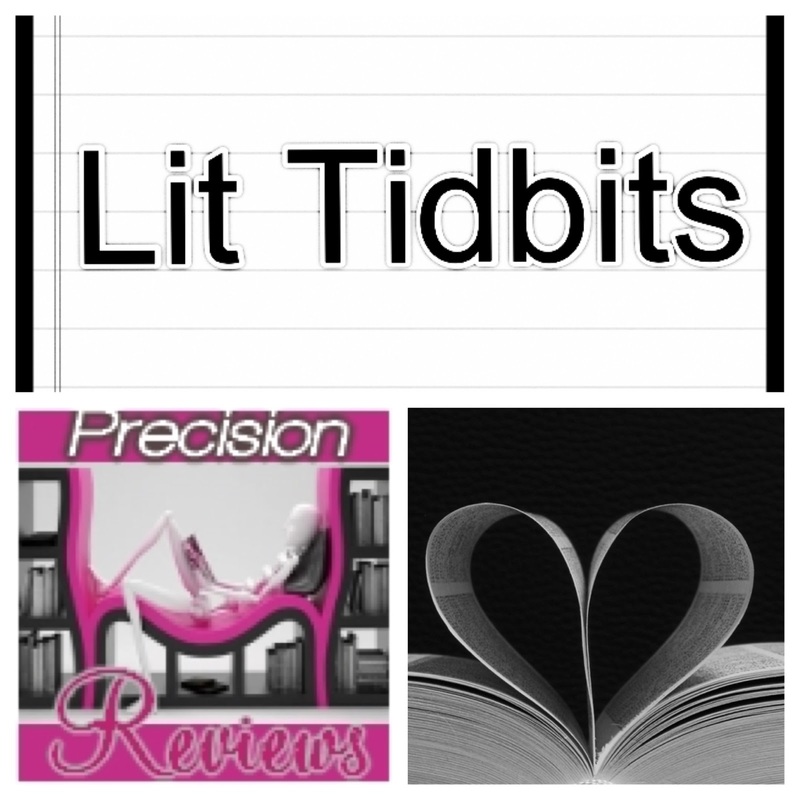 Beverly Jenkins makes 19th century fiction so enjoyable through well-developed heroes/heroines and setting descriptions. Her writing is flawless and draws me in without fail. She clearly does research and weaves facts into the storyline. This is the first time I read a fictional story about passing and glad that she tackled such a sensitive topic with a balance of romance and history. Now I know more about the Wild, Wild West through the eyes of memorable characters, Rhine and Eddy. Whether you are a bookheart that loves romance novels or just a history buff, Forbidden should be added to your TBR pile. Rhine Whiners, this one is for us! I especially liked the mention of Sable (Rhine's sister) and Raimond LeVeq from the 1998 novel Through the Storm. 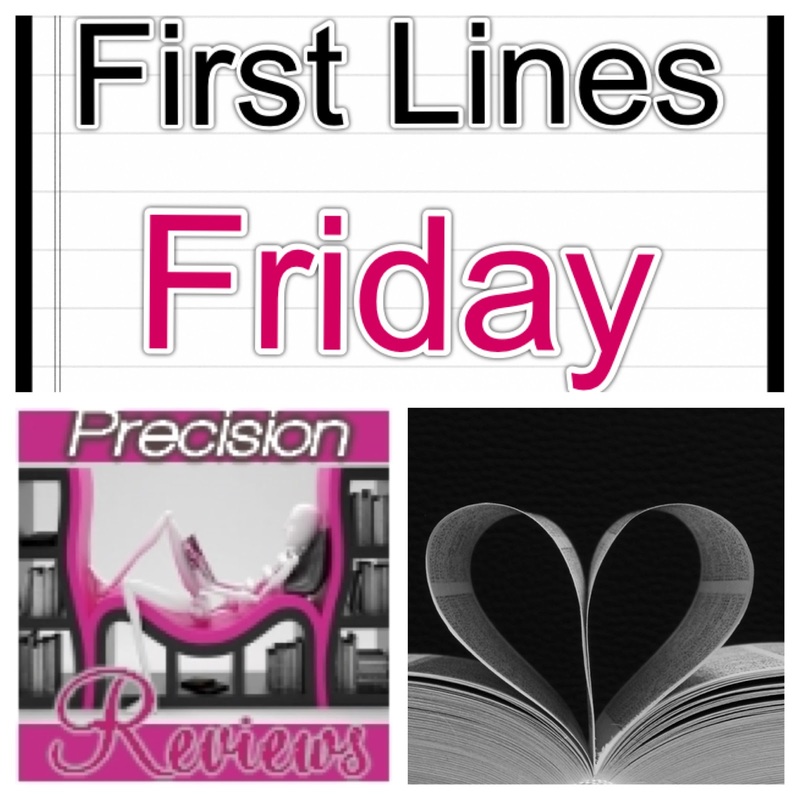 I heart when authors give us sneak peeks into the current lives of previous main characters. Anyhoot, resisting love and giving in to the forbidden is a story I recommend you cuddle up with this winter. In fact, I finished it in one night while sitting in front of my fireplace, wrapped in a snuggie, sipping hot tea. Don't just take my word for it though; read the excerpt below for yourself. Then thank me later. Q. Beverly, please tell us a bit about the new book and series. A. The book is titled Forbidden and is set in 1875 Virginia City, Nevada. Our hero, Rhine Fontaine is a saloon owner and a pillar of the community. Our heroine Eddy Carmichael is a cook from Denver and is traveling to California to fulfill a dream of opening her own restaurant when things go awry. She is robbed by a man impersonating a priest and left to die in the desert. Rhine finds her. Books 2 and 3 will focus on Eddy’s nieces Portia and Regan. Q. Did you do anything different with your research this time around? A. I didn’t do anything out of the norm for me. A recently conducted archeological dig in Virginia City unearthed the remains of a high end 1870s saloon founded by a man of color. It, like many of the city’s other business establishments was destroyed by the Great Fire of 1875. I based Rhine’s saloon on that real saloon. Q. What about the Wild West called you? A. Who doesn’t like the scope and sweep of the Wild West? I’ve written quite a few westerns. That I get to add to the standard lore stories about men and women who looked like me along with the Buffalo Soldiers, the all Black townships of Kansas and the black and the brown outlaws and lawmen of Indian Territory makes it even more of a blast. Q. 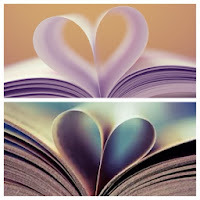 Who did you have more of a connection with while writing, the hero or the heroine? A. It depends on the story. Sometimes the story belongs to the hero and at other times the heroines. It can also belong to both. I let the characters decide. Q. Can you share a small teaser from your favorite scene of the book, or describe your favorite scene? A. Eddy awakened in a four-poster in a large room barely lit by a turned down lamp. Having no idea where she was or how she came to be there, she shook the cobwebs dulling her thinking and noticed she was wearing a man’s shirt! Perplexed, her eyes moved around the room to a well-appointed sitting area and then to the face of a White man watching her from one of the chairs. Panic flared. She snatched the blanket to her neck and she drew back fearfully. Q. What is next for you? What are you working on now? A. Next up for me is the June debut of the 7th book in my Blessings series which is women’s fiction. The title: Stepping To A New Day. I’m presently working on Portia’s story which I hope will be out in the fall. LM: Thank you for taking the time to talk about Forbidden. BJ: Thanks so much for this opportunity to meet you and your readers. 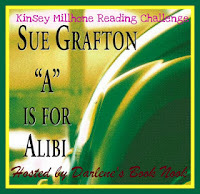 Disclaimer: A special thanks to the publisher Avon for the ARC and to Lisa Filipe of Tasty Book Tours. This book was received directly from the publisher for review and tour purposes only. In no way does it influence my review. The opinions I have expressed are honestly my own and would be the same if I spent my hard-earned coins.